After re-reading my previous article, “Saturday Morning Cartoons”, I think I owe a compliment to one of the current Saturday Morning Cartoons kin. I still stand by my statement that most cartoons these days are absolutely devoid of character, story, good animation, and good story-telling, but lately, I’ve been watching a cartoon that manages to do all of the above, and do it well. Now, let it be known that I do start off my day with about ten minutes of Tom & Jerry, I don’t watch it for the amazing plot or story, but what’s there is amusing. What I do watch it for, is the animation. I love hand drawn animation. It is beautiful, fascinating, meticulously done and detailed. It’s a shame it’s become a dead medium. 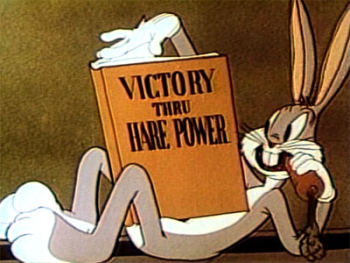 Do yourselves a favor, tune into some Bugs Bunny, or Tom & Jerry sometime, and just take in the animation. This is what real animation looks like. That being said, animation is one of my biggest peeves with today’s cartoons. I find myself becoming one of those people who mentions “standards”, and how “nobody seems to have them these days”. This holds true for a lot of things, pretty much every entertainment medium out there. Films, television programs, animated or otherwise, videogames, music, and to an extent, literature. Let’s thank Stephen King and Tom Clancy for that, but not Michael Crichton, not because he’s dead, but because Jurassic Park was a brilliantly written Sci-Fi adventure, and The Andromeda Strain was just amazing all over. To me, saturation is a problem, which is why it’s refreshing to see something that isn’t saturated, that can stand on its own, or something that while not being it’s own entity, is still able to stand out in a saturated market. That which stands out in a surplus of mediocrity is not necessarily that which is great, but it’s still refreshing. Basically, what I’m trying to say in this wall of font, this wall of font in which I’ve yet to mention what is I think deserves accolades, what I’m trying to say is that I like quality. And what Star Wars: The Clone Wars on Cartoon Network brings, is quality. Corny, but still pretty cool. That’s a lot of build up for Star Wars of all things, and it’s even stranger that it’s being said by myself. For a long time I’ve maintained that Star Wars, while being full of some really cool and interesting things, has always been plagued by bad storytelling, acting, and dialogue. Lightsabers are some of the coolest things ever imagined, blaster pistols are undeniably cool. Blaster Rifles a la the DC15-A are even cooler, and even cooler when being wielded by Clone Cold Assault Troopers. I’ve always been a harsh critic of the Star Wars films, but for the most part, I’ve enjoyed Star Wars videogames, and seem to enjoy Star Wars television programs. 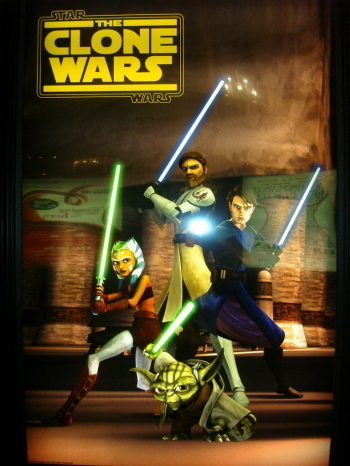 What Star Wars: The Clone Wars does right, in terms of the Star Wars universe, is it presents us with some really cool things. A General Greivous that is way cooler in the show than he ever was in the film. He’s a droid who carries four lightsabers and hunts Jedi. How is that not awesome? It gives the viewer all sorts of almost innocuous things that the films would never have time for. 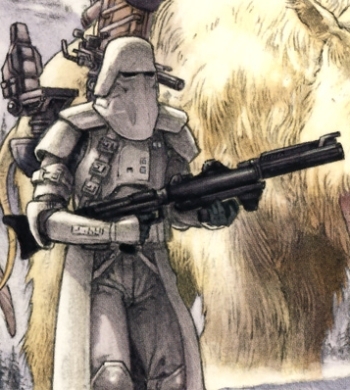 Like, say, a Clone Cold Assault Trooper with a DC15-A. That’s pretty awesome. There’s so many more things that can be shown to the viewer when you’re given a pallet of one-hundred twenty-two minute episodes, rather than about a hundred minutes in one film. Everything needs more than this, not just Star Wars. It’s also not tied down to the drab 1970s and 1980s architecture and design found in the original films. You can harp on all you want about how much you liked X-Wings, and Tie-Fighters, AT-ATs, and AT-STs were awesome, but they’ve gotten old, and as far as I’m concerned, they’ve been replaced. The ship design that’s been helped along with the advent of modern computers can only help the Star Wars universe, and it definitely helps The Clone Wars. 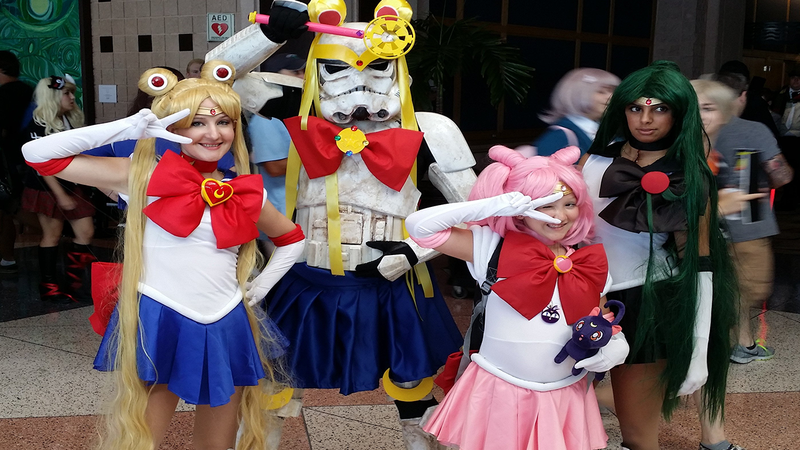 For the Star Wars universe, it does good things, but as a show, it also does good things. The animation isn’t the best CG I’ve seen on -…actually, yeah it is. It is the best CG animation I’ve seen on a program aimed at it’s audience. It won’t outdo Ghost in the Shell 2, or Wall-E, but it looks good for a 22 minute program on Cartoon Network. There’s actual fluid animation, and motion, it’s not muddled with lazy flash animations that seems to float across the screen. It’s very crisp, slick, and serviceable. The best part of it all, continuity. What happens in one episode is relative to the next episode, it’s not mash up of random tales that contradict themselves later down the line. While every episode isn’t a successor to the previous episode, what happens in episode twelve is still relative to what happens in episode nineteen. If someone dies, and characters do die in The Clone Wars, which gives it more gall than any other show on Cartoon Network that’s not on during their Adult Swim line up. But, if someone dies, or if a specific Capital Ship goes down, they’re not coming back. It’s wonderful, it’s how real stories are woven. It’s so easy to dismiss what you’ve already written in favour of creating something interesting, but it’s much more difficult when you have to weave a story around prior events, making your window for storytelling narrower and narrower, thus making it more and more difficult to write original and engaging episodes. There’s no promise that all 100 episodes of The Clone Wars will all be good, but from what I’ve seen, I remain optimistic that they will be. Of course, it’s not without it’s fallacies. The dialogue can be stiff, as is commonplace with Star Wars, and there are some small gaffs with the animation. Nitpicking, really. If they can make a program aimed at eight to fifteen year olds that I can enjoy, surely they’re doing something right. You could be a pessimist and say I’m watching a children’s show, but give it a try. For what it is, it’s well done, and it’s a very refreshing look into the Star Wars universe, and it can only do good things for the quality and standards we’ve come to expect from today’s cartoons. Check it out kids (and teenagers, and adults), if you’ve ever thought anything in Star Wars was cool, it’s worth the watch.